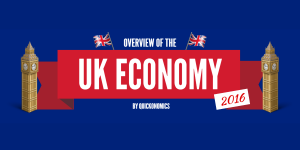 Our economic system has become increasingly complex in the recent past. As a consequence, it has become more important for people to know what is going on around them. However, this has become more difficult as well due to the increased complexity. 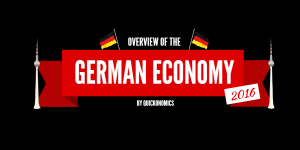 Therefore, we have created a series of infographics that illustrate the most important facts and figures about the economies of various countries all over the world. 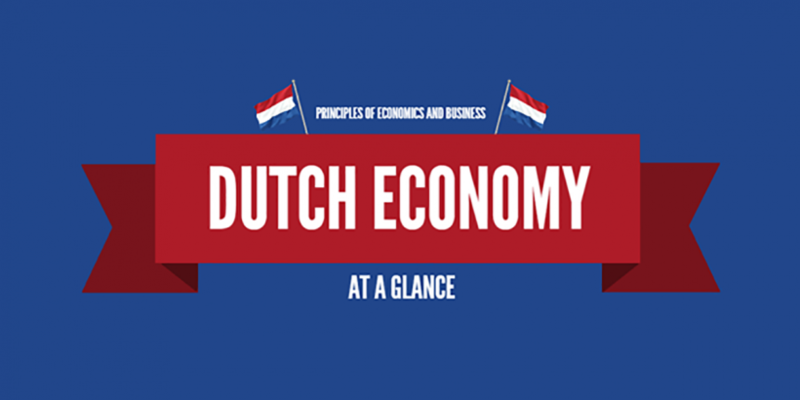 The following infographic shows the Dutch Economy at a glance. The Netherlands has Euorpe’s sixth largest economy in terms of GDP at USD 880.7 billion. On a per capita basis, GDP stands at USD 48’000 (PPP). In addition to that, the country plays an important role as a European transportation hub. 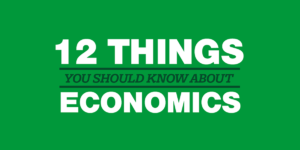 It experiences a real GDP growth rate of about 1% annually. The country is running a budget deficit of USD 20.8 bilion, which equals about 2.3% of GDP. Public debt currently stands at 69% of GDP and the Netherlands experiences a rather low inflation of 0.3% per year. It is the world’s fifth largest exporter, which results in a positive current account balance of about USD 90.16 billion. The most dominant sector in the Dutch economy is the service sector. The largest industries by employment are healthcare & social assistance and public administration & safety. Other relevant industries include retail trade, construction, professional scientific & technical services, agriculture, and education & training. Despite the undisputed relevance of the agricultural sector, only 2% of the labor force are employed in this sector, which is due to the high level of mechanization in this area. The Netherlands has a strong labor force. What stands out is that more than half of the Dutch working population works part time. This is far more than in any other first world country. Nevertheless, unemployment currently stands at 7.4%. Zeeland has the lowest unemployment at 5.8%, while Flevoland has the highest unemployment at 10.8%. The country ranks well above average in income equality. Its median household income is calculated at USD 27’888 and the minimum wage is at USD 75.62 per day. The lowest 10% of the households earn 2.1% of total income, while the highest 10% earn 24.5% of total income. About 9% of the population live below the poverty line.